JSC Exam Update Information For 1st November 2016. Like Every year Junior School Certificate Exam Start From Today (1st November). Approximately 24 lakhs Students Attend The exam. Among Them 20 Lakh 38 Thousand Students Attend From JSC and Rest of JDC Examines. 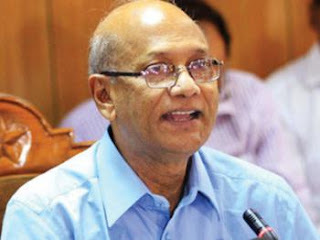 Education Minister Nahid Inform That JSC and JDC Examinees Come Exam Hall before 30 Minutes of Exam Start Date. Here Mention That Education Minister Nurul Islam Nahid Request to Students Attend Exam Hall Before Half an Hours of Start Exam. He Told That If Students Come Early, Then Others Exam Formality like Exam Answer Papers Distribution, important Information Fill Up and Others Will Start Early and Students Will Get Some time For Main Exam. However, Like Previous Year Education Minister Don’t Come Along With Huge Number of Visitor To Visit Exam Hall of JSC Exam. Only 2-3 people Attend With Nurul Islam Nahid. Due To Students Facilities and From Previous Experience, Education Minister Came Visit Silently. Today (1st November 2016) Nurul Islam Nahid Visit Rajdhani Dhanmondi Government Boys High School To See JSC and Equivalent Exam. At a Press Conference to The End of Visiting JSC Exam Center. Nurul Islam Nahid Siad, Students Are Happy. They Told That JSC Question Fine To Giving Exam. Not to Hard or not to Easy. We Request to Candidates attend exam before half an hours and Students attend The exam half early. So, We Able to Giving Answer Sheet Before 15 Minutes For Doing Necessary Work. JSC Exam Will Complete 17 November 2016. After That JSC Result Will Publish Within 30 December 2016.